A solar regulator is needed in virtually all solar power systems that utilize batteries. The job of the solar regulator is to regulate the power going from the solar panels to the batteries. Overcharging batteries will at the least significantly reduce battery life and at worst damage the batteries to the point that they are unusable. 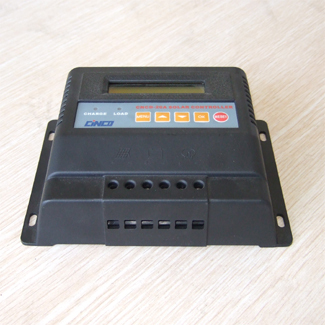 The most basic solar regulator simply monitors the battery voltage and opens the circuit, stopping the charging, when the battery voltage rises to a certain level. Older charge controllers used a mechanical relay to open or close the circuit, stopping or starting power going to the batteries. 6. Protective circuit of PV from reverse-charging.